It is an all natural multi-enzyme, biochemical product that accelerates microbiological activity and replication to more rapidly breakdown and transform a wide spectrum of organic and inorganic matter while dissipating odor in livestock manure, plant waste, waste site storage, and other composting applications. It was designed to rapidly stimulates dormant and beneficial, indigenous microbes to multiply and accelerate in the decomposition process of converting waste, fertilizers, chemicals, manure and other materials into PERFECT TOPSOIL– while it controls and eliminates harmful, disease carrying pathogens. 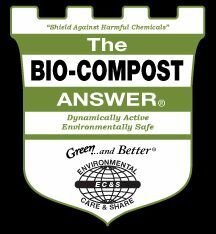 THE BIO-COMPOST ANSWER® generates many trillions of active coenzyme, exo-enzyme, enzyme-secreting microorganisms and indigenous molecules that are able to hydrolyze and biodegrade efficiently the various forms of out-of-balance and overabundant animal waste found in the growout system. Due to THE BIO-COMPOST ANSWER® being very selective when it comes to activating certain microbes, it has also shown to out-compete and out-perform non-beneficial pathogens for the essential necessities of life– keeping the composting matter in a highly oxygenated state. It enzymatically alters the physical structure of suspended solids, causing those substances to separate more efficiently as it remediates toxic, hazardous conditions– making it the perfect addition for compost piles, lagoons, and in house composting. This makes it possible to stimulate microorganisms in both aerobic and anaerobic conditions. Odor Abatemen Mix 1:10 to 300 with water and spray or mist over surface area. Grease Traps Add 1 gal every 2 weeks or as needed.